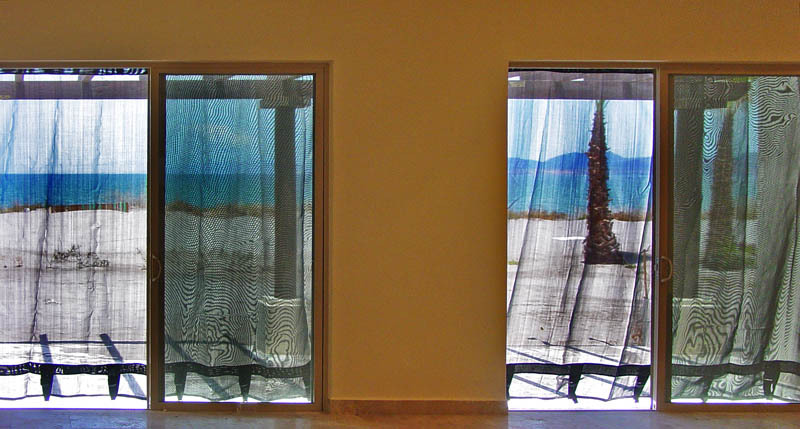 Pictured is one of four "Hurricanescreens" installations in the Paraiso Del Mar development in La Paz, Baja California Sur, Mexico. For a larger view, click on either one of the images. 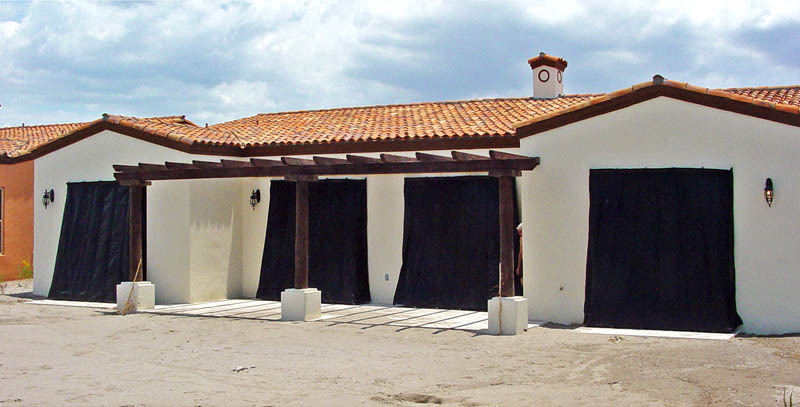 Baja Hurricane Screens are a 21st century solution to hurricane protection using a densely woven mesh fabric similar to the material used in trampolines. When a hurricane or other adverse weather conditions are forecast, these lightweight screens can be deployed by the homeowner in a short time (only one hour for five average size windows) with no special tools. Note that, in the photo above, when looking from the inside of the home to the outside, "Hurricanescreens" are translucent, providing all weather protection for your home from wind and water damage in the event of a hurricane. The hurricane screens require no maintenance; when not deployed a 5 window system stores in a 2x2x3 foot container.